Ford has introduced the Studio trim to the new Focus range, starting at £13,995, just in time for the 61-plate’s introduction in September. 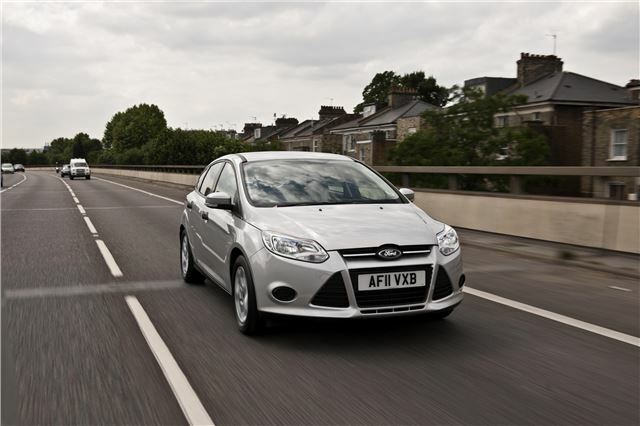 The Focus Studio will the starting point into the new Focus range, and is fitted with a 1.6-litre Ti-VCT petrol engine, which produces 85PS and is capable of 47.9mpg on the combined cycle. Standard equipment includes 16-inch alloy wheels, rear spoiler, air-con, USB connectivity, electric door mirrors, ‘Easy Fuel’ capless refuelling and ESP. Available as a five-door hatch, the Studio will be available in black, silver and white. Nigel Sharp, Ford of Britain managing director, said: "With the high end of the new Focus range fully established, we are now making it easier for customers to get behind the wheel at the entry level – and this new Studio model is not only affordable but it is also well equipped, attractive and economical too." The Focus Studio replaces the Focus Sport, which was a final run-out edition of the previous generation Focus, and is now sold out.